Sexual harassment, sexual battery, and other such cases have been in the headlines a lot during the latter months of 2017, and in most cases, the dispute is one between the alleged victim and alleged abuser. But in some cases, a landowner or other responsible third party may also be at fault, even if this party was not directly involved in the incident. 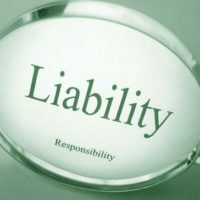 Vicarious liability is important in premises liability cases. For one thing, the individual tortfeasor (wrongful actor) may have insufficient insurance coverage to fully compensate the victim; for another, since a landowner often created the environment that allowed the incident to take place, the same thing will most likely happen again unless someone puts a stop to this behavior. In most employee tort cases, the respondeat superior rule applies, and the employer is liable for the victim’s damages. But this doctrine requires that the wrongful act be within the course and scope of employment, and even the broad definition which civil judges use clearly excludes sexual battery and other intentional torts. But there are some other theories available in Florida, most notably negligent supervision. If the employer knows that there is a behavior or other issue with a certain employee, does not take sufficient corrective action, and someone is injured, the employer may be liable for damages. Negligent hiring may come into play as well; for example, an employer might hire an employee without conducting a sufficient background and reference check. Duty: If the victim was an invitee (a person who is on the premises because of the landowner’s express or implied invitation), the landowner has a duty to inspect the premises and ensure that invitees are reasonably safe. A lesser duty of care applies to licensees (persons whose presence is simply tolerated on the land) and most trespassers (people with no permission to be on the premises). The attractive nuisance doctrine, which applies to child trespassers, is one of the largest exceptions. Knowledge: Florida victim/plaintiffs must establish either actual or constructive knowledge (knew or should have known) of the defect. Repair invoices, cleaning reports, and other such items are admissible to prove actual knowledge. To prove constructive knowledge, the victim/plaintiff must establish that the defect had existed for quite some time and the landowner did not correct the situation. Foreseeability: If a non-employee committed the sexual battery or other tort, victim/plaintiffs must convince the Florida jury that the incident was substantially similar to other instances that had occurred either at that location or in the immediate vicinity. Compensation in these cases usually includes economic damages, such as medical bills, as well as noneconomic damages, like pain and suffering. Additional punitive damages are available as well, in some cases. Landowners and employers may be jointly liable for sexual battery claims. For a free consultation with an experienced personal injury lawyer in Brandon, contact Reed & Reed. We have four area offices (St. Petersburg, Lakeland, Tampa, and Clearwater).